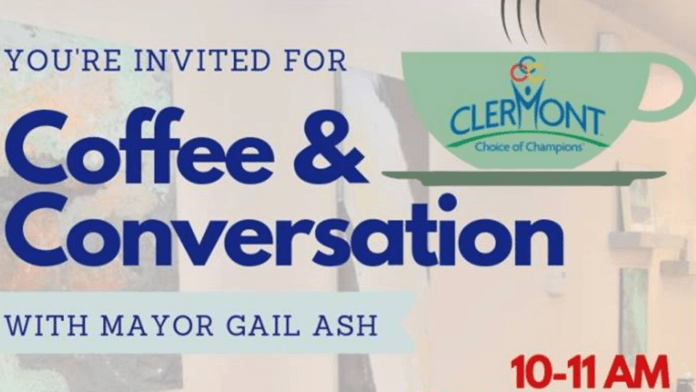 Join Mayor Gail Ash for Coffee and Conversation hosted by AJ and Dana Kraft of Root & Branch bistro+bar. An informal opportunity to learn more about the City of Clermont and share your feedback. Mayor Gail Ash will provide an update on Master Plan projects, new business additions and events. For more information call 352-241-7355.